A Research and Education Center (REC) titled Physics and Chemistry of Nanostructures was founded in 2008. The REC regulations have been approved by the TISNCM Director and the Rector of MIPT on September 01, 2008. REC undertakes the fundamental and applied scientific research and innovation research in a wide range of directions in the field of nanotechnology and other priority areas, and develops the critical technologies to promote the high-level science and technology in the Russian Federation. The REC scientific and technical research and innovative activity represents an integral part of the training the highly qualified specialists and teaching experts provided by the MIPT Physics and Chemistry of Nanostructures department. 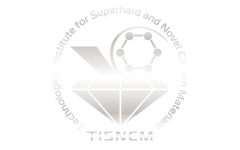 TISNCM is the governing institute for MIPT. Physical and mathematical modeling of the formation and behavior of nanosystems. Fundamental mechanisms of the nanostructure formation in solids at intensive outer influence. Properties and functions of nanostructures (supramolecules, nanocrystals, superlattices, and quantum points). Physical and chemical properties of nanomaterials. Methods of industrial processes modeling. Development and production of the synthetic-diamond-based electronic nanodevices: single electrons, optoelectronics, superconductors. Spin electronics, sensors, biosensors, quantum generators. High-accuracy methods and devices for the measurement of mechanical, electrical, and magnetic properties of nanosystems. High-accuracy measurement and treatment equipment for the nanotechnological processes. Mechanisms of diffusion-controlled processes in bulk nanostructured systems. Designing the new types of superhard nanocomposite films. Production of nanostructured alloys and nanocomposites with the unique mechanical properties. Development of production principles for the new homogenous and composite ceramic materials with the nanophase and nanocrystal structure.